Healthy eating tips that will put a spring in your step and help you maintain a good quality of life as you age. Whatever your age, eating well has its benefits. A healthy diet and lifestyle can increase your mental sharpness, energy levels, and resistance to illness and disease. Healthy eating doesn’t have to be about bland and boring food. Eating well should be about a well-rounded diet that follows the principles of a healthy diet. It should be balanced, made up of fresh and tasty food, and above all enjoyed—whether in the company of family or friends. 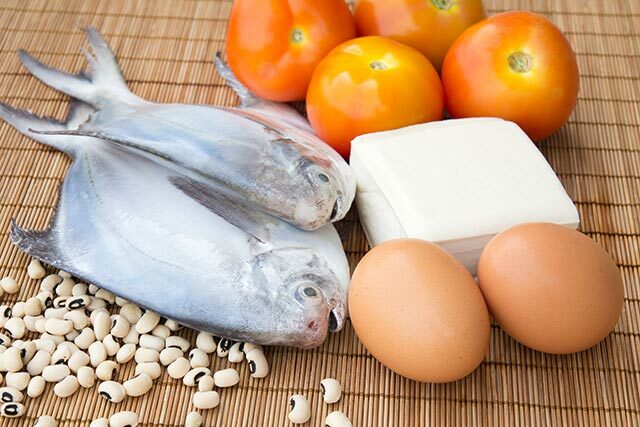 Ensure adequate amounts of protein in your diet. Protein can help maintain physical function and reduce muscle loss. Table tip: Choose low-fat alternatives such as lean meat, fish, chicken without skin and low-fat dairy products. If you are having meat or fish, have one palm-sized portion per meal. Adults over the age of 50 are at a higher risk of losing bone mass faster than it can be replaced. That’s why it is so important to have adequate calcium intake to prevent osteoporosis and bone fractures. Calcium also helps muscles and nerves work properly, helps blood to clot and regulates enzyme activity. Table tip: Get your calcium boost through milk, yoghurt, or cheese. Non-dairy options include calcium-enriched soymilk, tofu, sardines and kai lan. Wholegrains, fruit and vegetables are rich in vitamins and minerals. They help to strengthen the body’s immune system and protect against heart disease, stroke and certain types of cancers. 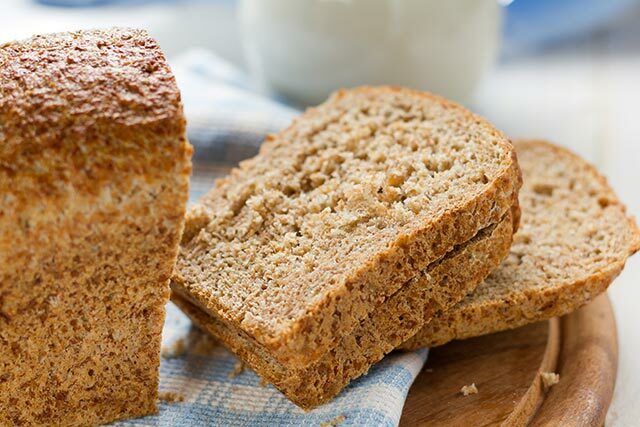 Table tip: Have at least one wholegrain staple food like wholemeal bread, brown rice or oats every day. Instead of having processed white rice or white flour, choose brown rice and wholemeal flour. Have two servings of fruit and two servings of vegetables a day. Salt is sodium plus chloride. Keep your daily sodium intake to 2,000mg a day. This is equivalent to one teaspoon (5g) of salt or two tablespoons (30g) of light soy sauce. Excessive sodium intake can lead to high blood pressure, also known as hypertension. High blood pressure is a risk factor for stroke, heart and kidney disease. Table tip: Instead of reaching for the salt shaker, try to flavour your food with fresh or dried herbs like parsley, coriander, onion, garlic, chives or spring onions and spices like pepper, curry leaves, chilli, cinnamon, cardamom, and cumin. You can also try other types of seasoning like lemon, lime or orange juice. Ensure that you take in enough liquid by checking your urine. Pale and odour-free urine means sufficient hydration, but if it’s dark and smells, drink up! A lack of sufficient liquids can result in urinary tract infections and constipation. Table tip: Drink small amounts of fluids throughout the day, instead of large amounts at a go. 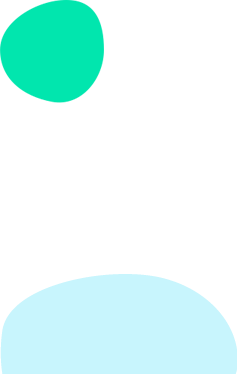 Have a drink between meals, such as water, milk or tea. If you are only cooking for one or two, you may be tempted to skip meals or have only a little at mealtime. This can result in inadequate nutrition and increases your risks of malnutrition leading to loss of muscle mass, more frequent falls, slower recovery from illness or injuries, and diet-related complications such as fragile bones. Instead of eating the same meals every day, try different fruit, vegetables, and protein-rich food each day. Not only will it jazz up your meals but it will also help to ensure adequate nutritional intake across the different food groups. As you get older, you may experience changes in your appetite due to changes in taste preferences or medical conditions. Your senses may also be weakened and your taste buds may not be as sensitive to taste. Some medications and illness may also affect your taste and appetite. If your appetite has shrunk and the prospect of eating three substantial meals a day is daunting, try having smaller but more frequent meals in a day. Improve your appetite by trying out new recipes and flavours with herbs and spices, and make mealtimes more enjoyable by eating with family and friends. Milk, cheese and yoghurt can be a quick and convenient way to have a nutrient-rich snack. Dairy products have protein, calcium and a host of vitamins. If you are lactose-intolerant, you can substitute milk with calcium-fortified soy milk. Cheese and yoghurt are naturally low in lactose. 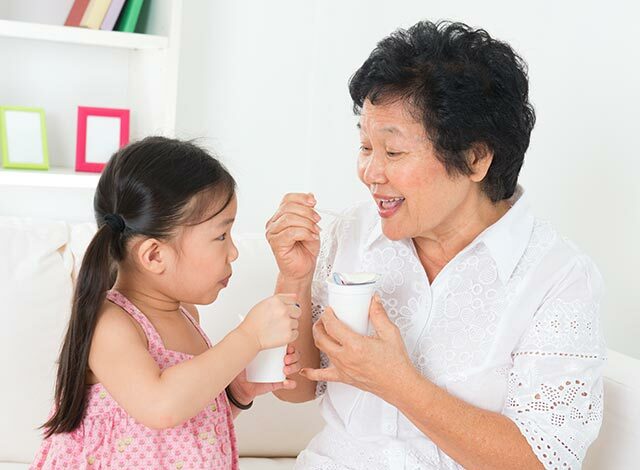 Seniors may have difficulty eating large meals, or have problems chewing. A smoothie might be the answer! Use a base of milk or yoghurt and top it with fruit. Sometimes even food can be blended to a smooth consistency for seniors with poorer swallowing abilities. If you have difficulty chewing food, try to choose softer food such as porridge, bread, fish, or soft fruit like papaya, banana and kiwi fruit. Soften your food by soaking your brown rice for half an hour before cooking, dipping bread into a drink, or having rice porridge instead of rice. Another way is to chop vegetables into smaller pieces and cook it longer. Replace meat chunks with tofu, eggs, minced meat and fish. It is not always easy to go grocery shopping on a regular basis. Store some basic food items at home for those times. Stock up on canned food like tuna in water and sardines, frozen vegetables, milk powder or milk in tetra pack, oats, and wholegrain crackers and biscuits. Eating healthily doesn’t have to be an ordeal or chore. If you need help cooking, don’t be afraid to ask for help, or perhaps consider home meal delivery services. Be creative in the kitchen by trying new recipes or asking friends what they cook and eat. So start eating healthier and reap the benefits as you age. To learn more about healthy eating for seniors, visit The Recipe for Healthy Ageing. <em>Table tip&#58;</em> Instead of reaching for the salt shaker, try to flavour your food with fresh or dried herbs like parsley, coriander, onion, garlic, chives or spring onions and spices like pepper, curry leaves, chilli, cinnamon, cardamom, and cumin. You can also try other types of seasoning like lemon, lime or orange juice. 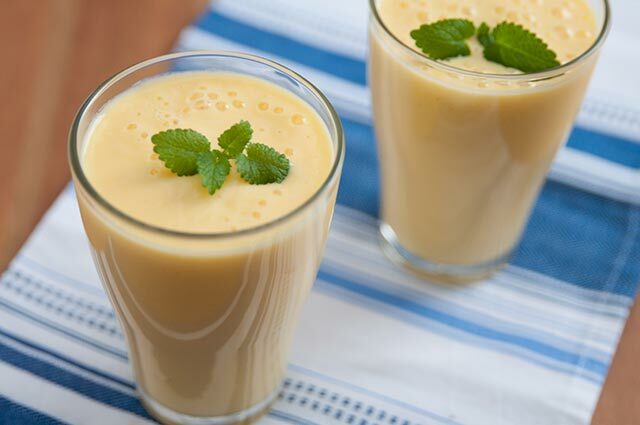 <img src="/sites/assets/Assets/Categories/Food%20N%20Nutrition/mango-lassie-smoothie.jpg" alt="smoothie garnished with leaves" style="margin&#58;5px;" />​​</p><p>Seniors may have difficulty eating large meals, or have problems chewing. A smoothie might be the answer! Use a base of milk or yoghurt and top it with fruit. Sometimes even food can be blended to a smooth consistency for seniors with poorer swallowing abilities.</p><h3>Choose Softer Food</h3><p>If you have difficulty chewing food, try to choose softer food such as porridge, bread, fish, or soft fruit like papaya, banana and kiwi fruit. Soften your food by soaking your brown rice for half an hour before cooking, dipping bread into a drink, or having rice porridge instead of rice. Another way is to chop vegetables into smaller pieces and cook it longer. Replace meat chunks with tofu, eggs, minced meat and fish.</p><h3>Keep a Stash</h3><p>It is not always easy to go grocery shopping on a regular basis. Store some basic food items at home for those times. Stock up on canned food like tuna in water and sardines, frozen vegetables, milk powder or milk in tetra pack, oats, and wholegrain crackers and biscuits.</p><p>Eating healthily doesn’t have to be an ordeal or chore. If you need help cooking, don’t be afraid to ask for help, or perhaps consider home meal delivery services. Be creative in the kitchen by trying new recipes or asking friends what they cook and eat. 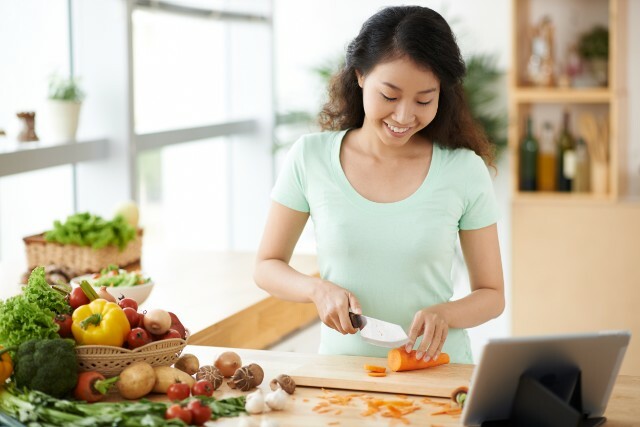 So start eating healthier and reap the benefits as you age.</p><p>To learn more about healthy eating for seniors, visit <a href="http&#58;//www.healthhub.sg/programmes/68/healthy-ageing-nutrition" title="The Recipe for Healthy Ageing">The Recipe for Healthy Ageing</a>. <div class="ExternalClassC6DA4E6309834E63B33647BDB7E330B8">Established in 2001, the Health Promotion Board (HPB) has a vision to build a nation of healthy people.